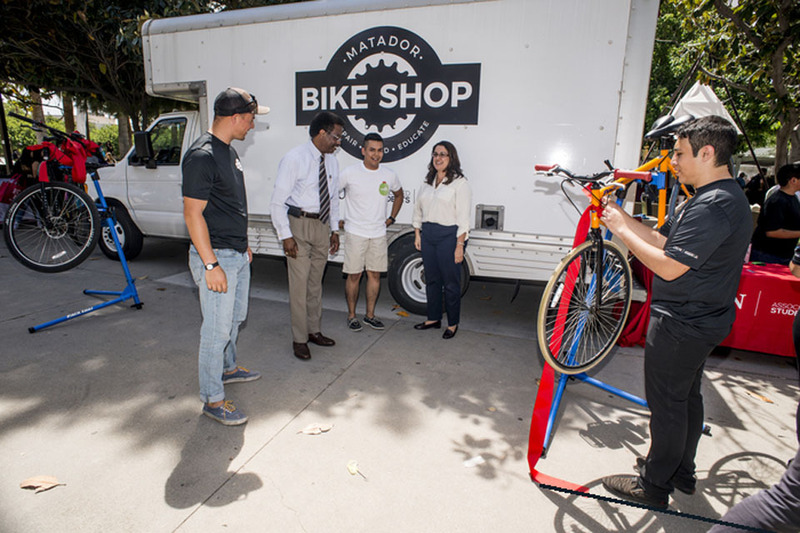 The Matador Bike Shop proved this past spring to be a big hit on the bicycle-friendly California State University, Northridge campus during the short time it was open. The shop, which opened just a month before the spring semester ended, repaired and maintained the bikes of more than 60 CSUN students, faculty and staff. “We feel that the foundation we were able to lay during the spring semester will be a great catalyst,” said Christine Upton, Outdoor Adventures coordinator. According to Upton, the bike shop will add a new co-op service to the CSUN community so people can learn to make minor repairs themselves. The bike shop will be open from 11 a.m. to 3 p.m. Monday through Friday after school starts Aug. 29. Some of the many services the bike shop offers include: tube replacement, brake adjustments, free air, handle bar adjustments and much more. The shop’s location varies, so for updates visit the Matador Bike Shop website.